Matt, Alex and James Morris, with Highland dancers at the 1953 gala day. 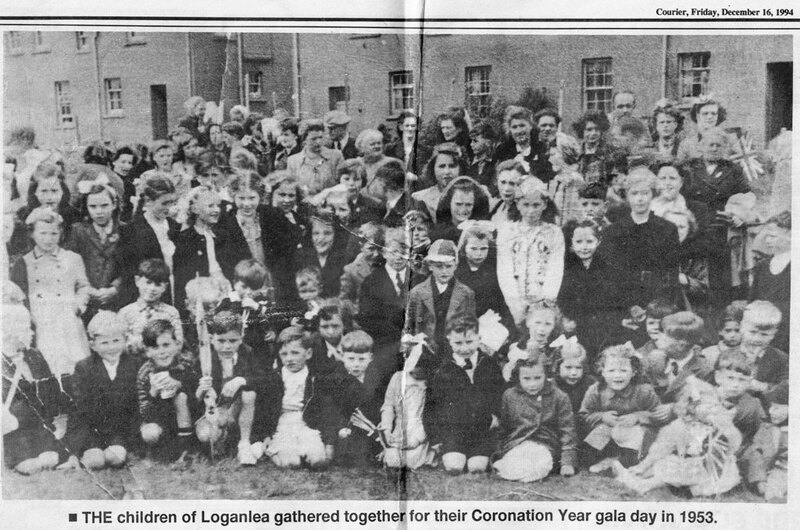 Loganlea Gala Day, 1946 or 1947. Who are they? And where are they now? If you know, tell us. Baby front right is David Pennykid. Girl back row on the left, wearing a frilly top, Betty Oliver. John Kelly. All rights reserved. S1. 199. 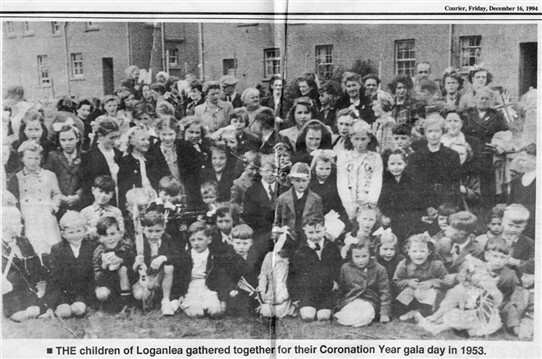 Loganlea's Coronation Gala Day in 1953. Courier, via Mrs Mary Wilson. 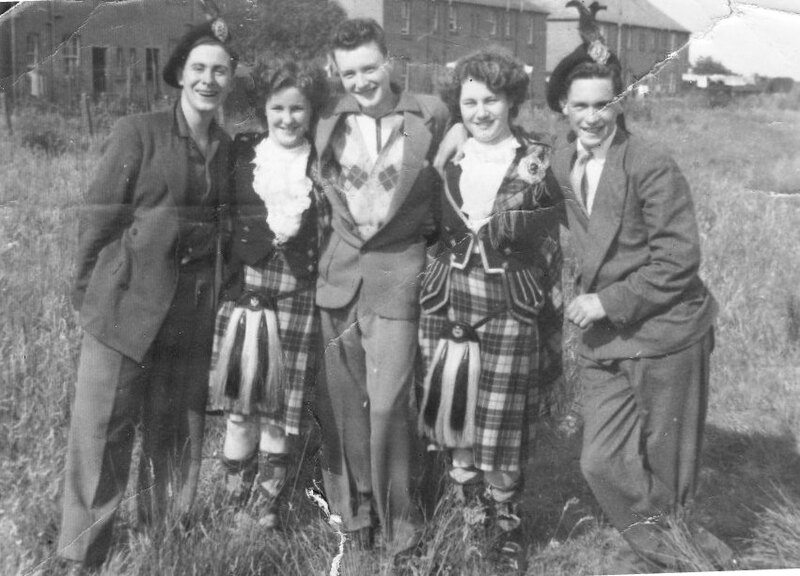 Addiewell Gala Day Committee, 1950s. Info and pics to be added - or add your own. This page was added by Sybil Cavanagh on 03/07/2012. This is Addiebrownhill Gala Day. 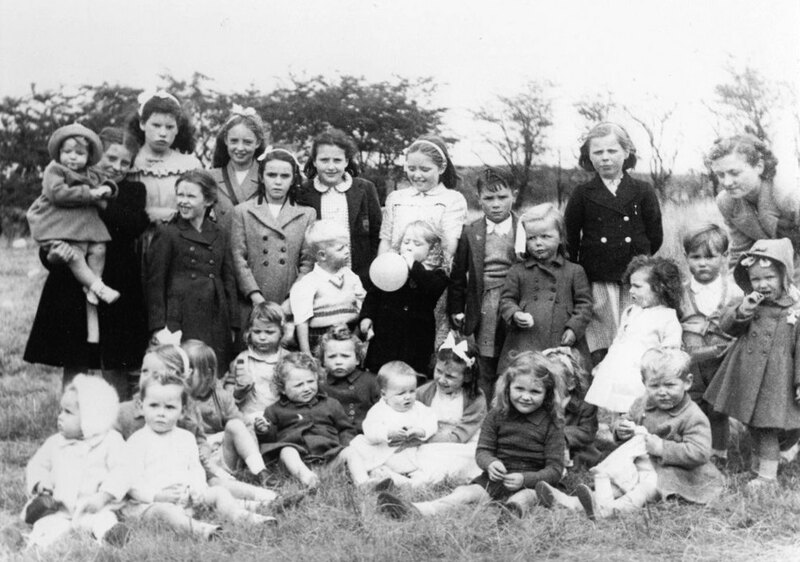 My dad George Lavery was President- that is him at the back wearing the dark jacket. He was 100 in January this year (2012) and is still living in Meadowhead Ave.
My sister Margaret Cairns was born in the house next door to George Lavery. It is great he has reached 100 and still going strong. I am Cathine Cassidy. 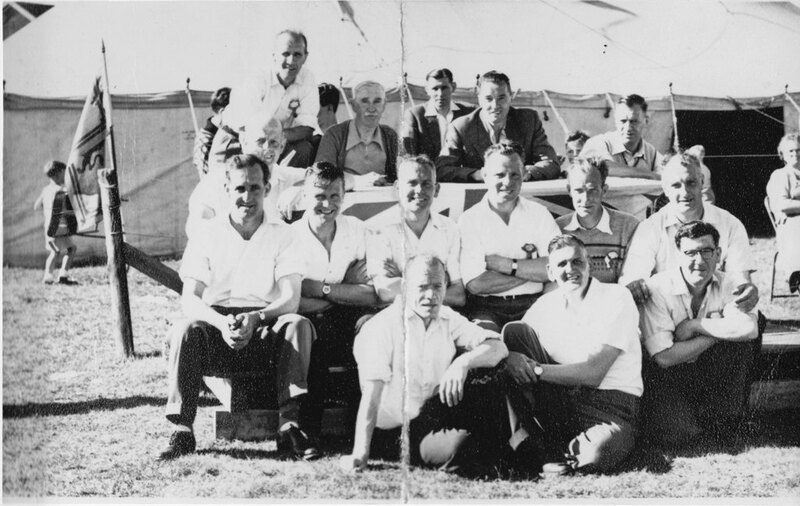 In the middle row is Davie Thompson, ?, Alex Auld, Davie Edgar, John McFadden, Joe Dinwoodie. Front row is ?, Wullie Manson and James Kerr. I think Mr Russell and Robbie Scott are on either side of my dad sitting at the table. Margaret Cairns and I were best of pals way back then as my mum Katie and Katie Cairns were great friends. In the pic at the top of the page, Alex is Alex Matson. Lived upstairs at the beginning of Mooreland Gardens. He had an older sister, I've forgotten her name, and a younger brother Charlie who was closer to my age. I delivered milk to the Matson house when I worked with the McFarlane's farm milk delivery.